ENJOY MODERN COMFORTS AND OUTDOOR CHARM WITH A VACATION CABIN. 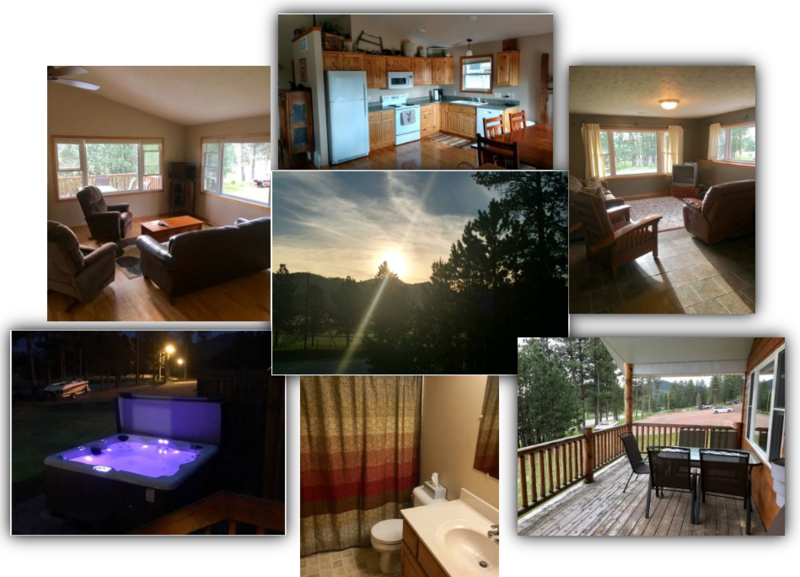 Enjoy the fresh mountain air, the smell of the Ponderosa pines, the crackle of the campfire and the extreme beauty of the Black Hills when you stay at a cabin, lodge or resort in Hill City, SD. Peaceful, friendly atmosphere on a quiet street just 2 blocks from downtown Hill City. 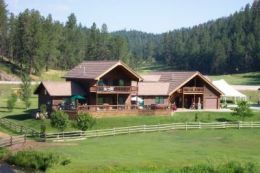 Our cozy log cabins are located on 2.3 acres of natural Black Hills beauty. Each cabin has it’s own unique mountain setting and is a cozy retreat with all the comforts of home. 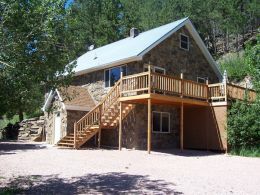 Cabin rentals in quiet community of Silver City. Close to Rapid Creek for fishing, hiking. 5 miles off Hwy 385 for getting out of the rat race. OPEN YEAR-ROUND! 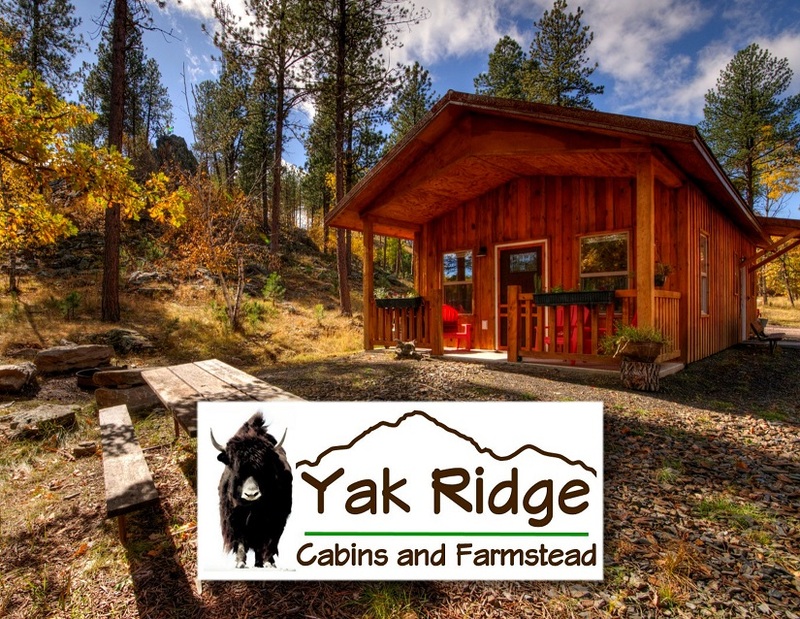 Newly completed in Fall 2015, our deluxe cabins are nestled in the heart of the Black Hills and offer rustic charm as well as modern amenities. 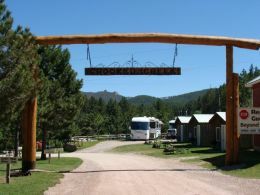 Crooked Creek Resort and RV Park is nestled in a valley just outside of Hill City. 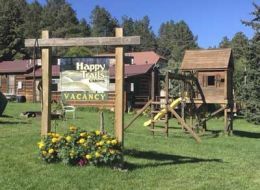 Lodging accommodations suit the needs of any Black Hills visitor—rustic accommodations in the great outdoors, or the luxuries of home. 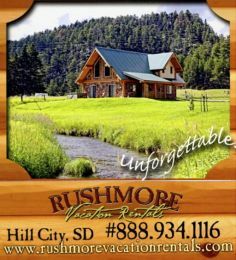 In a scenic valley near Hill City SD, along a clear-flowing creek that leads to Sheridan Lake, you will find a small resort community of vacation homes, rental cabins and RV sites unlike any other in the Hills. Family owned and operated. Clean comfortable rooms, spacious RV/tent sites and a meticulously-kept shower-house. Free Wi-Fi, firewood and complimentary s’mores. 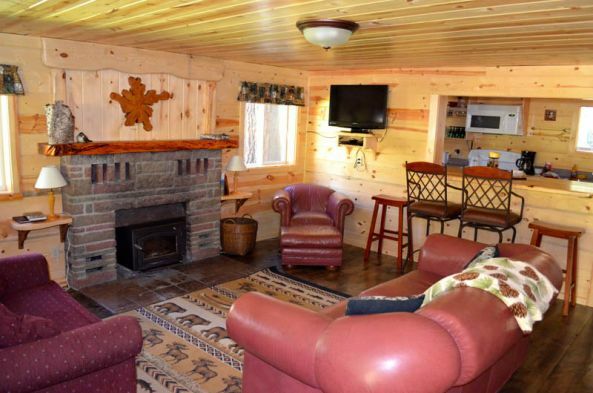 Six intimate log cabins for nightly or weekly rental. Cabins circle meadow filled with wildlife. Each has a gas fireplace, gas barbeque, an old-fashioned clawfoot bathtub, linens, and a porch with breathtaking views. Family-owned and operated. All cabins have full size kitchens and kitchenettes, with views of the pine forest. All lodge rooms have microwaves and fridges. 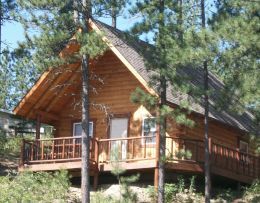 Mountain ambiance with plenty of modern comforts makes Pine Rest Cabins the perfect location for day trips anywhere in the Black Hills. Less than 1 mile S. of Hill City. Experience the best of “Western America” with the award-winning Native American group Brule’ & the Circle B Chuckwagon Show. 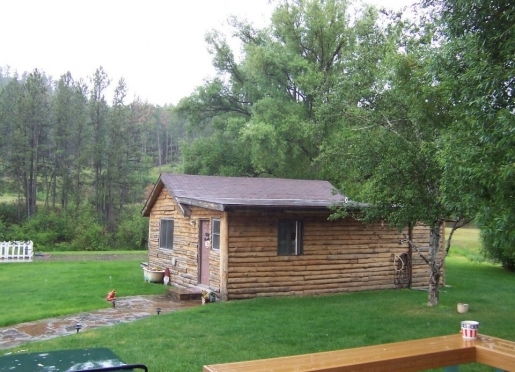 Log vacation homes, cabins & RV sites. These log cabins provide a warm, relaxing ‘Welcome Home’ after a long day of seeing the sights and wildlife in the area. Located within city limits of beautiful Hill City. Offering full hook-up, 50amp RV sites, tent sites on Spring Creek, and 9 NEW vacation cabins. 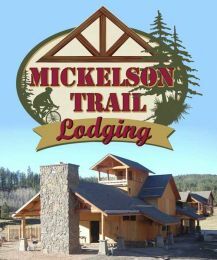 If you love to fish, hunt, hike, cycle, ride horses, ATV, and enjoy the outdoors this is the place to stay. 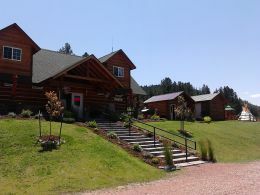 Restaurant, cabins, RV hookups, bathhouse, horses, rentals and more. Choose from one of five camping areas—pick a remote site or camp close to the resorts activity center. We offer electric, water and sewer sites along with many tent sites. Rushmore Vacation Rentals is the perfect lodging choice for your visit to our scenic area! Our properties are all centrally located within just a few miles of Mt Rushmore and the areas finest attractions. 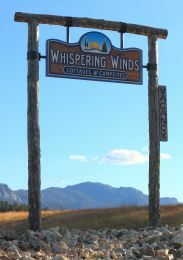 Variety of homes and cabins, most within 15 minutes to Mount Rushmore, Crazy Horse Memorial, The 1880 Train, and Custer State Park. All new, custom-built lodge perfect for family reunions, retreats, anniversaries or weddings. Companion cabins available to accommodate up to 60 people. Centrally located at the intersection of Hwy 16 and 385. RV parking, tent sites, camper cabins, and a beautiful vacation house. 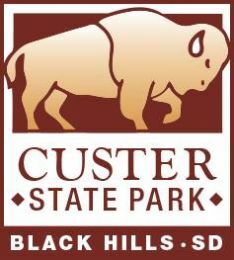 Custer State Park has 4 Historic Lodges, 8 Campgrounds, 4 Mt. Lakes, streams, hiking, biking, naturalist programs and much more. 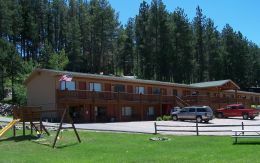 Restmore Inn is a small cozy inn situated among the pines trees, two miles south of Hill City. 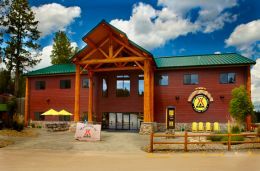 All units are non-smoking and cabins with complete kitchens, fire pits, gas grill barbecues. Open year-round.. Located just north of Custer, the Bavarian Inn offers its guests a breathtaking pastoral setting. The crisp mountain air, the whispering of the Ponderosa pines, and the majesty of Buckhorn Mountain all exude local color. 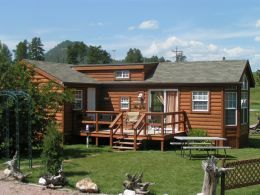 Down home hospitality, cabins and motel rooms with kitchens, 2 or more beds, grills, Wi-Fi and more. We strive to provide our guests with the best customer service possible. 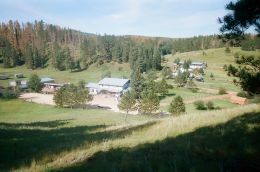 Spring Creek Inn is located on 3 1/2 acres just one mile from Hill City. There is a large back yard with basketball, volleyball, playground equipment and a beautiful stream. Outdoor activities and exciting amenities for travelers of all ages. 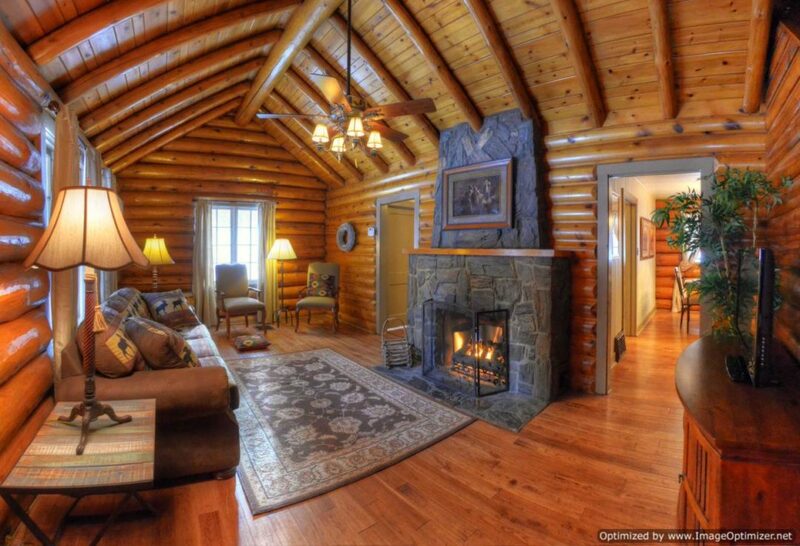 The resort features a 62-bedroom lodge, six resort cabins, 30 mountain cabins and the Mt. Rushmore KOA campground. 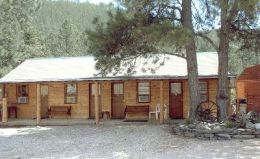 The Holly House is located two miles North of Hill City. We have four themed rooms and a nightly Christmas cabin rental by a stream. Spectacular views, freshwater creek, wildlife and lots of bighorn sheep. Cabins and vacation homes sleep up to 10. Bed & Breakfast rooms sleep up to 6. Find more cabins, lodges and resorts by viewing all our Chamber Member listings. "OUR TRIP TO HILL CITY WAS THE BEST VACATION WE HAVE BEEN ON YET."